You can purchase prints of this image here. I am often distracted by the many, many opportunities that are available to me – and I want to do them ALL! After all – these may be opportunities for growth, for wealth, for fun. I have to remind myself that just because I “could” do something doesn’t mean that I have to. 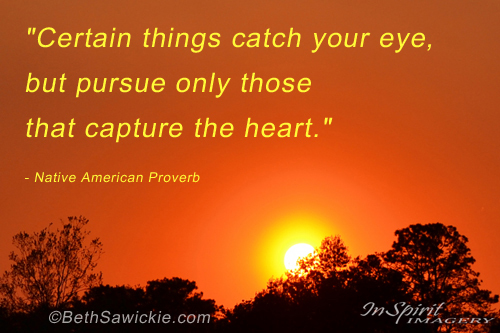 This proverb reminds me to sort through all of those opportunities and find the ones that really “capture MY heart”.